Welcome to the CRD Connection, our special event ministry! In an effort to increase the connection opportunities amongst our church family, our team will plan and provide an array of events including spiritual, educational and social events to bring us all together. Given space availability, we would also like to encourage our CRD family to invite their family and friends. 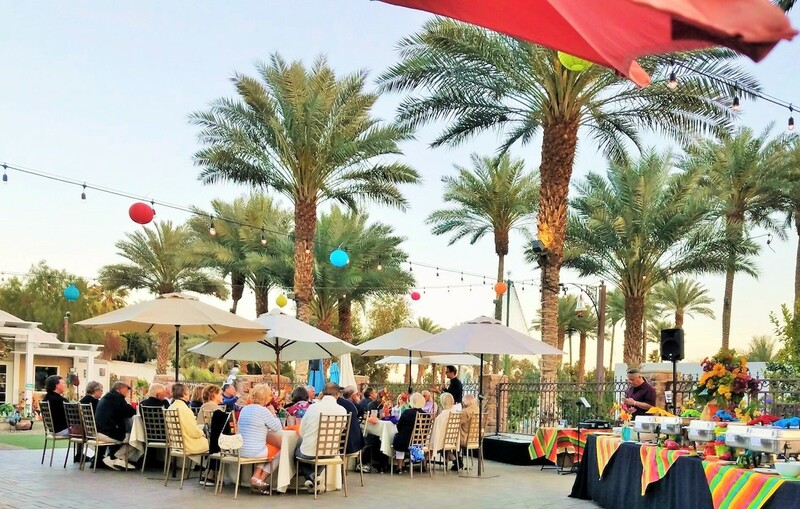 In the future, we hope to plan some larger events that could be attended by the residents of the Coachella Valley so that we are continually increasing our outreach. Sponsors: Would you or your company like to sponsor or share sponsorship of an upcoming event for our church? We have varying sizes and budgets for our events. Email us. Special Interest Event Leaders: Do you have something you love doing and would like to share that love with our CRD family? We are looking for people like you! For example: bike riding, gardening, games and bringing people together to play, you enjoy Italian food, Japanese, Thai, etc., you love to cook or have taught cooking classes before, you enjoy dancing (all types), going to the movies and discussing the movie afterwards, you enjoy singing. Email us. More Team Members for our Special Event Ministry: For those who enjoy planning events - or part of an event - while working with a team. We also need to build a database of volunteers who may want to work on a single task for an event. Email us. Storage Space: As we do events for the CRD, we have begun to accumulate items that could be used again for other events. Until we have our own space, we need some room to store these items (tablecloths, decorations, vases, etc). Another option would be the donation of a storage unit, either in La Quinta, Indio or Palm Desert. Email us. We would like to offer the class “Becoming a Contagious Christian.” If you have ever taken this class or feel comfortable facilitating classes, we would like to talk with you. The materials are already prepared for purchase. Class participants would purchase their own workbook. Email us. We would like to offer a one-day seminar with multiple speakers featuring topics of interest to baby boomers and beyond, as well as those recently retired. Topics could include: medical, scientific, financial, how to care for aging parents, etc. If you or someone you know has a special interest topic that could be shared with our CRD Family, we would like to hear from you. We are looking for about six speakers with topical varying expertise. Email us. You can also fill out this Volunteer form to let us know where you would like to plug in. Thank you for your willingness to give your Time and Energy to Church at the Red Door. Volunteers are of vital importance to our success.